Who said tights are only for women? 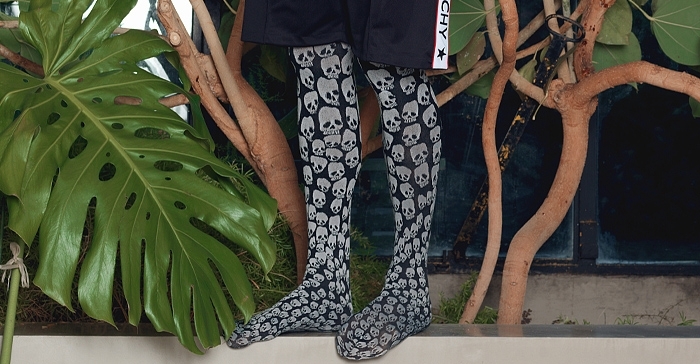 With his outstanding mantyhose collection, Emilio Cavallini has finally given men their right to make their legs stand out. Mantyhose are a fun and trendy fashion item to complete and enhance your look – a must-have for the cosmopolitan and modern man. With his outstanding mantyhose collection, Emilio Cavallini has finally given men their right to make their legs stand out! But what does the word “mantyhose” exactly mean? A neologism born from the combination of “man” and “pantyhose” - also known as “broisery” or “guylons” - the term“mantyhose” simply means “tights for men”, and they are as versatile and fashionable as their women’s alternative. Mantyhose are a fun and trendy fashion item to complete and enhance your look – a must-have for the cosmopolitan and modern man. So for all of those who thought men in tights were a prerogative of Robin Hood’s times, it’s time to update your views on fashion! Make an entrance by wearing them with shorts, or simply keep your legs warm in the cold winter days, by wearing our ultra-comfortable men’s tights underneath your trousers. 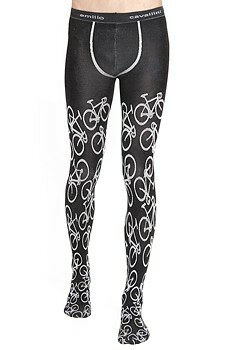 You can also wear them for skiing as a more fashionable alternative to long johns. Choose among our stunning variety of prints and patterns and make a bold fashion statement: from skulls to checks, from stars to vertical stripes, all patterns are available in both a white-on-black and in a black-on-grey version.